French President Emmanuel Macron on Tuesday encouraged people to express their grievances and propose changes to the country's economy during a "grand debate" aimed at appeasing the yellow vest movement, following weeks of anti-government protests. Macron formally launched a three-month national debate during a meeting with about 600 mayors and local officials in Grand Bourgtheroulde, a small town in the region of Normandy. He said he was there to hear the concerns of the French people. He started his journey with a stop in the small town of Gasny to attend a meeting of local officials, some of whom expressed their concerns over the loss of purchasing power of retirees and civil servants. Macron said he wants to help "people in a difficult situation" find their way out of poverty by making them "more responsible," because "some are doing the right thing, and some are messing around." The expression, using a vulgar verb in French, provoked many comments on social media. 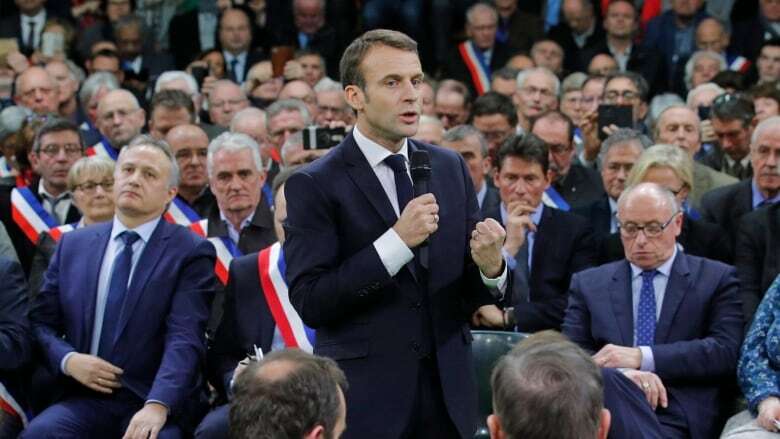 The outspoken 42-year-old leader had previously made comments perceived by many French as arrogant, including when he told a jobless man that he just had to "cross the street" to find work or when he suggested some French workers are "lazy." Macron said the yellow vest movement was a chance to make deeper changes in the country. He notably pledged to reform the pension system this year to make it fairer because some workers currently have more benefits than others depending on their jobs. 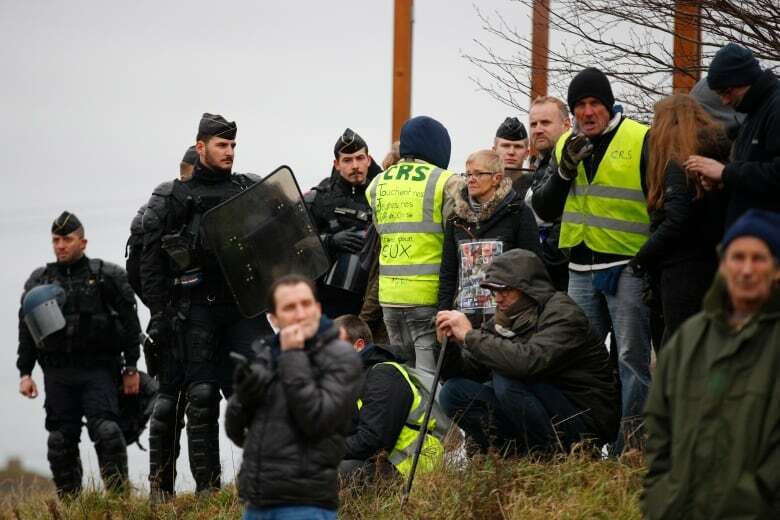 Despite a high security presence, a ban on traffic and restricted access to the town, more than 100 yellow vest protesters gathered in Grand Bourgtheroulde to express their discontent. Some brief scuffles between demonstrators and police broke out and a few people have been arrested, an Associated Press photographer reported. Security forces used tear gas to push back protesters to a good distance from the meeting with Macron. "We are being prevented from accessing the village," said protester Florence Clement. "I was crossing the road with my yellow vest but I was asked to remove it because it's forbidden." Macron this week addressed a "letter to the French" to encourage people to express their views. The consultation will take place through local meetings and on the internet. The debate will focus on taxes, public services, climate change and democracy. The French leader, whose popularity ratings hit record lows at the end of last year, hopes the process will help quell anger over his economic policies. About 84,000 people turned out last weekend for the ninth round of anti-government demonstrations across France, according to the French Interior Ministry. The yellow vest movement, born in November from discontent over a tax hike on diesel fuel, has expanded to encompass demands for wider changes to France's economy to help struggling workers. Protesters have denounced Macron's pro-business policies as favouring the rich. The movement is named for the fluorescent garments all French motorists are required to keep in their vehicles.